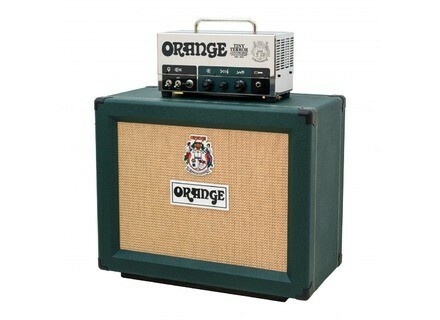 Tiny Terror 10th Anniversary, Tube Guitar Stack / Half Stack from Orange. 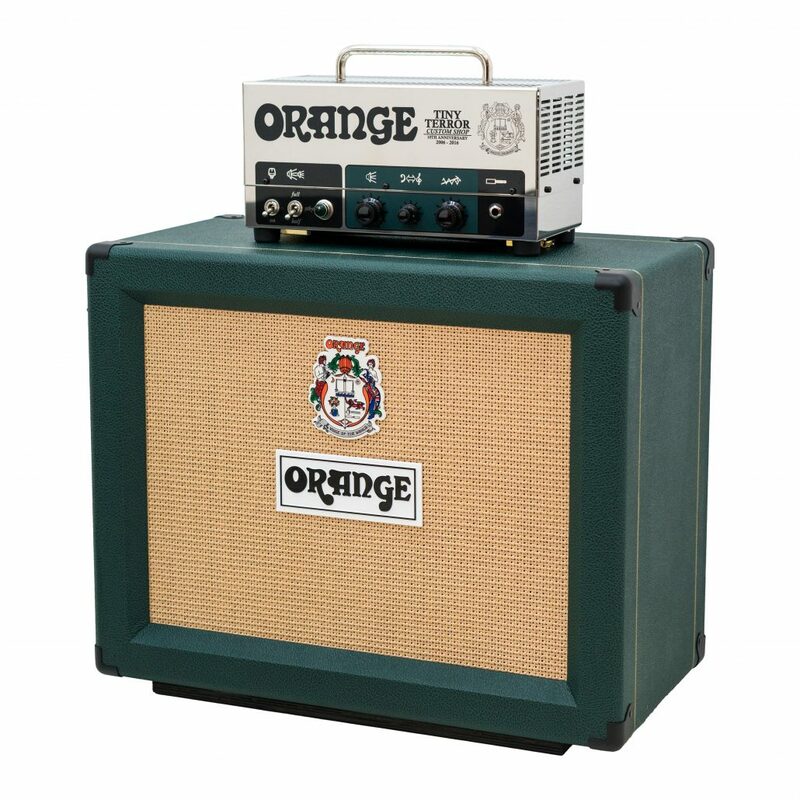 2016 marks ten terrific years of the original ‘lunchbox’ amp - the Orange Tiny Terror. To celebrate this musical landmark, Orange’s UK Custom Shop has designed and produced 110 commemorative Tiny Terror 10th Anniversary half stacks. The limited edition head is a point-to-point hand wired recreation of the iconic original. Featuring high-quality components throughout and housed in a stunning, polished mirror-effect stainless steel chassis, the 10th Anniversary model is a fitting way to reflect on the amp that turned the guitar world upside down. Each of these Tiny Terror heads comes complete with its own bespoke open-back speaker cabinet. The cabinet revels in Orange’s British heritage, finished in a never-done-before British Racing Green and will not be available separately. Fitted with a brace of 10” Celestion G10 Gold alnico speakers, the cabinet and head dovetail together seamlessly. The 10th Anniversary edition half stack will come with a certificate of authenticity, signed by Orange founder and CEO Cliff Cooper. 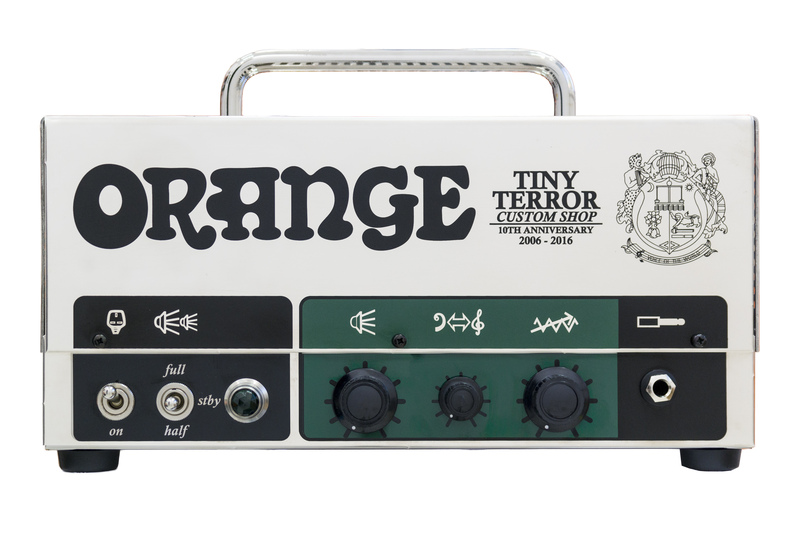 Until this Sunday, you can see the Tiny Terror and other new products at the Orange Amplification Booth #4890, Hall C. For further information, you can visit https://orangeamps.com/. [NAMM] TC Electronic BonaFide Buffer TC Electronic announce BonaFide Buffer, their first dedicated buffer pedal ever. [NAMM] Hughes&Kettner TubeMeister Deluxe Hughes & Kettner introduce the TubeMeister Deluxe, a new series of full-tube guitar amps available in 20 and 40-watt versions. [NAMM] TC Electronic releases the Ditto X4 TC Electronic introduces the Ditto X4 Looper, the latest addition to their line of looper pedals.